Job growth slowed more than expected in December amid a decline in retail employment, but a pick-up in monthly wage gains pointed to labor market strength that could pave the way for the Federal Reserve to increase interest rates in March. 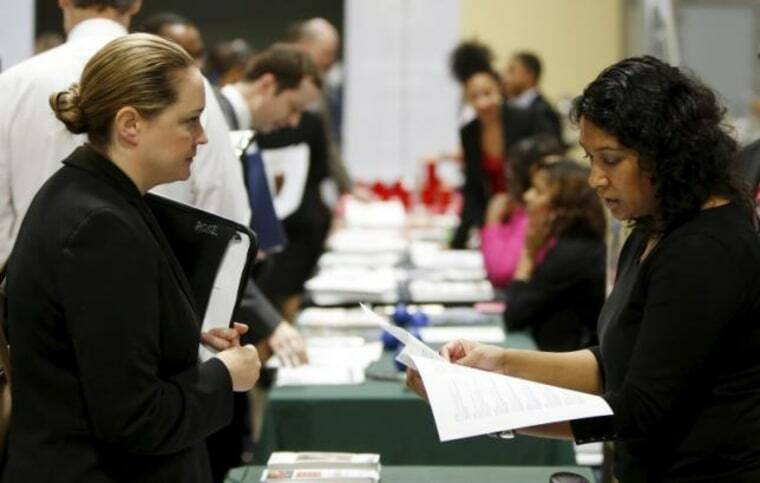 Nonfarm payrolls increased by 148,000 jobs last month, the Labor Department said on Friday. Retail payrolls fell by 20,300 in December, the largest drop since March, despite a strong holiday shopping season. Employment data for October and November data were revised to show 9,000 fewer jobs created than previously reported. Job growth surged in October and November after being held back in September by back-to-back hurricanes, which destroyed infrastructure and homes and temporarily dislocated some workers in Texas and Florida. Average hourly earnings rose 9 cents, or 0.3 percent, in December after gaining 0.1 percent in the prior month. That lifted the annual increase in wages to 2.5 percent from 2.4 percent in November. The unemployment rate was unchanged at a 17-year low of 4.1 percent. For all of 2017, the economy created 2.1 million jobs, below the 2.2 million added in 2016. Economists expect job growth to slow this year as the labor market hits full employment, which will likely boost wage growth as employers compete for workers. There was no change in the unemployment rate, which declined by seven-tenths of a percentage point last year.